HortiGrow - Hortiland Holland B.V. Compound 100% water soluble NPK fertiliser CHARACTERISTICSThe HORTIGROW series consist of Ultra fine blended 100% water soluble fertilisers of premium quality with microelements for drip irrigation and foliar applications.Ready blended types which meet the specific crop needs during all growth stages. Suitable for vegetables, fruit trees, ornamental cultures and plant nurseries.The basic compounds of Hortigrow are of highest quality and are free of chlorine and any hazardous elements, thus avoiding leafburn.HORTIGROW fertilisers can be applied together with most usual plant protection products except alcalic ones. or spraying equipment. HORTIGROW nor increases the electric conductivity in the soil neither causes toxicity.The microelements (Fe, Zn, Cu, Mn) are all in chelated form and assure the maximum availability of the micro elements to the plant.HORTIGROW fertilisers do not leave any residues or stamps on the final product. Balanced N-P-K combination 1:1:1 suitable for general use in all cultures throughout the vegetative period. HORTIGROW 20-20-20 is improving both roots, leaves and flowers and should be always available at the farm or nursery any time. N:K ratio 1 : 2 plus Magnesium Special type which is used in fruit bearing crops from the stage of setting of the first flower till the harvest alternatively applied with Tomato special Plus and Cucumber Special Plus depending of the crop stage. Recommended for Tomato, Cucumber, Sweet melon, Watermelon, Cabbage, Eggplant, Pepper, Squash and Potato. NPK 100% soluble top quality Phosphorus with less Potassium than Phosphorus Total Plus. A new adittional phosphorus type for no fruit bearing crops or crops which will product fruits at a later stage. 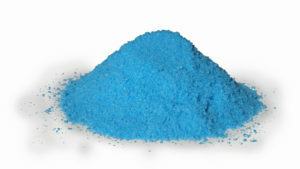 N-P-K combination with a high content of 100% soluble top quality Phosphorus. strong development of the roots. HG 5-50-20- is enhancing the transport of natural hormones and enzymes in the plant thus improving the flowering and fruitsetting of the plant. Prevention and therapy of “blotchy ripening” of tomato in Spring. Immediate improvement of the fruit color and fruit quality. Increase of the shelf life of tomatoes and other vegetables. Increase of BRIX of fruits and vegetables. 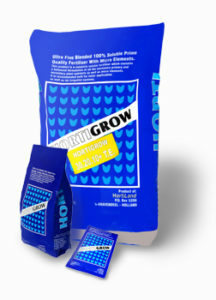 Fertiliser formula with high Nitrogen contents for rich vegetation. Cucumber Special Plus gives vigorous, colorful and resistant leaves. Commonly used in all vegetable and fruit cultures and especially in cucumber, melon, watermelon and squash cultures until the start of the harvest.